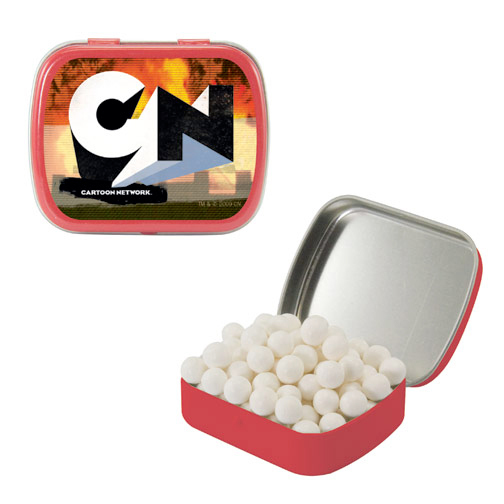 If you are looking for promotional items for small businesses, then we have for you promotional Small Mint Tin with Signature Peppermints. 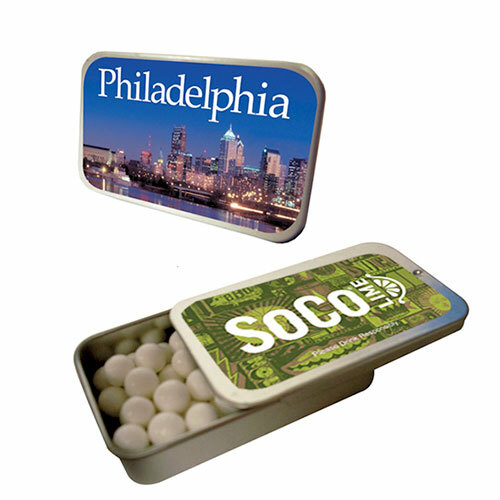 The mint tin will be personalized with your logo. You have the option of choosing from an assortment of tin colors. Select the color of the tin that complements your logo perfectly. 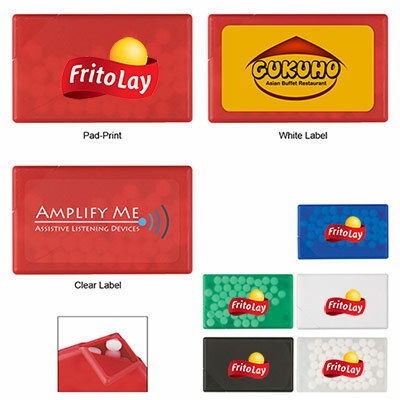 Pass them out to your potential customers at tradeshows, conferences or any other event. 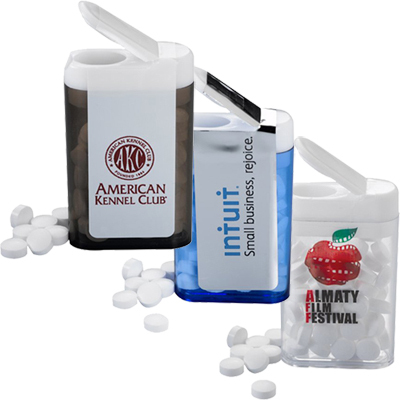 These promotional mints will make your recipients smell fresh and stay fresh and minty all day. Order today! "Promo Direct was a life saver for us when our order with another company fell through. They shipped the order within 48 hours and we were able to distribute these mint tins at our booth." "This product has helped me gain good visibility for my brand. " "Kept these peppermints aside for clients but my employees finished them off in no time. Will definitely order more. " Mints can be enjoyed anytime of the day!